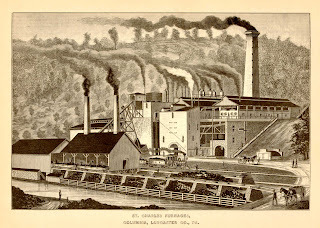 In 1861, the Farmers' High School of Pennsylvania graduated its first class, which consisted of eleven students who studied there three years to earn a Bachelor of Scientific Agriculture degree. Among them was John W. Eckman, whose father Joseph ran the St. Charles Furnace in Columbia. The founding of Farmers' High, which was renamed the Agricultural College of Pennsylvania a year later and eventually Penn State University, reflects a growing interest in scientifically managing agriculture and industry--a trend alive and well in Civil War era Lancaster County considering the founding of the Linnaean Society and the publication of The Lancaster Farmer by Simon Snyder Rathvon. On August 28, 1862, Eckman joined a special cavalry unit known as the Anderson Troop--a company recruited at the war's outbreak to serve as bodyguard to Gen. Robert Anderson of Fort Sumter fame--as it expanded to a full regiment, the 15th Pennsylvania Cavalry. The unit continued its special relationship with the commanding officer of the Army of the Ohio and then Cumberland, and served as headquarters guards and orderlies. Another of Eckman's classmates, Milton S. Lytle (whose diary is in PSU Special Collections), also joined the "Anderson Cavalry." On the 29th we had a severe fight with infantry. We made a charge (150 of us only) through a piece of woods, and the rebels, 2000 strong, were posted behind the fence. The only way we could get at them was by riding close to the fence and firing down on them--which we did, and I know my carbine sent a man reeling into eternity. We took several prisoners, but how many we killed I can't say. But we paid dearly for it: both Majors fell--one dead, the other mortally wounded, who has since died; ten others fell dead, and many wounded. We fell back discouraged and disheartened, leaving the dead, and all the wounded who could not get away, in their hands. Two of my mess wounded, one taken prisoner, a fourth had his horse killed, and two escaped unhurt, I being one of them. That fight brought on the battle of Murfreesboro, which I think will prove one of the severest that has yet occurred. 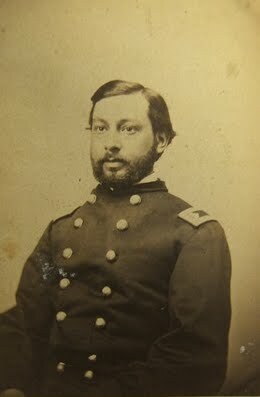 After the war, Eckman continued in his father's footsteps and ran the Montgomery Furnace in Port Kennedy near Norristown, PA. His name also pops up for serving as Treasurer for the Valley Forge Centennial Association, a delegate to the Republican National Convention, and as an alternate delegate at national Grand Army of the Republic encampments. Like several Lancaster soldiers I've encountered, business ventures took Eckman back to the South near where he had marched as a soldier. In the 1880s, Eckman moved (although he might have maintained residence in Pennsylvania) to Pulaski, Virginia, a town deep in the Shenandoah Valley near Blacksburg known for being rich in minerals. 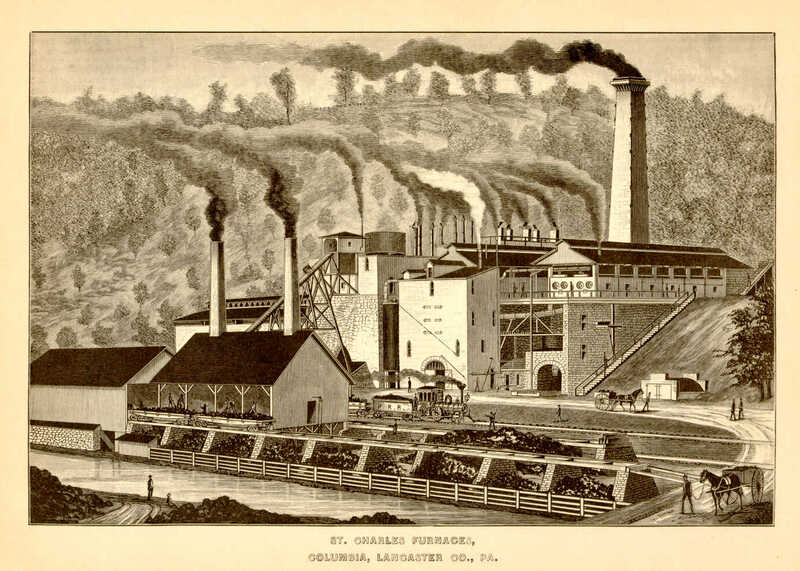 He became general manager of the Pulaski Iron Works, which was known as southwest Virginia's first modern pig iron blast furnace and worked there until 1912. There's even a funny story you can read in the regimental history on page 533 about how courthouse records there were lost when the 15th Pennsylvania Cavalry came through in 1865, and how the locals took advantage of this to bury Eckman in lawsuits over land ownership when he tried to run Pulaski Iron Works there decades after the war. In 1911, Eckman returned to Penn State for Commencement Week and a celebration of fiftieth anniversary of the school's first class, of whom seven including Eckman were present. A January 14, 1863, article in the Express lists seventeen Lancasterians in the Anderson Troop and also mentions Jacob B. Garber, Jr., son of a "distinguished agriculturalist" of Lancaster County and Class of 1862 graduate of the Agricultural College of Pennsylvania.